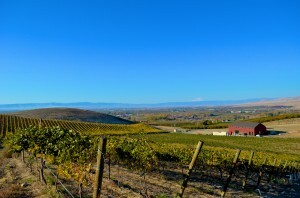 Owen Roe’s new winery and vineyard in the Yakima Valley. Courtesy of Wine Yakima Valley. 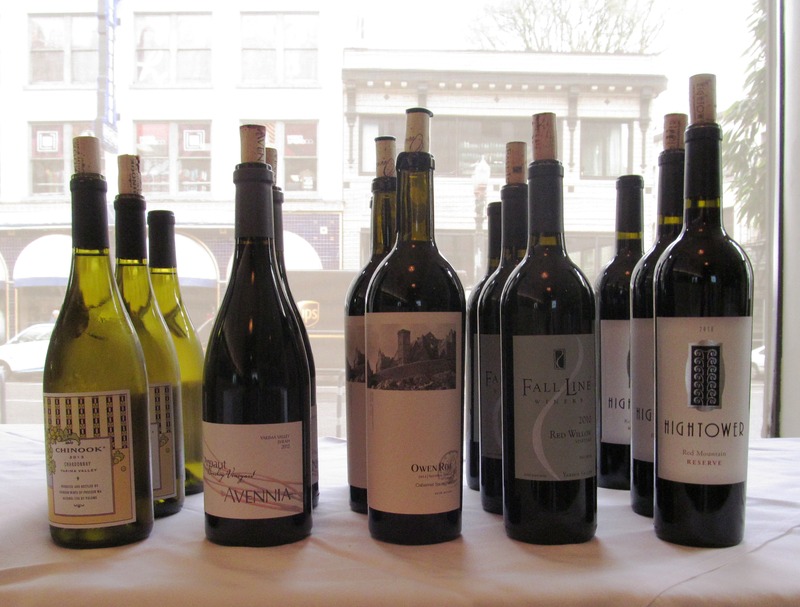 A couple weeks ago I had the privilege to attend a Wine Yakima Valley grower tasting at the Saucebox in Portland along with other area wine writers. Not only did we taste stunning Yakima Valley wines but we enjoyed a four-course Pan-Asian food pairing courtesy of Peruvian-born chef Alex Diestra. Yes, this vegetarian was bewitched by the intoxicating aromas of Washington State’s first AVA (American Viticultural Area) to eat octopus, duck and short ribs. Oh my! John Sauer, co-owner of Red Willow Vineyard, chatting with Pacific Northwest wine writer, Cole Danehower. Courtesy of Wine Yakima Valley. 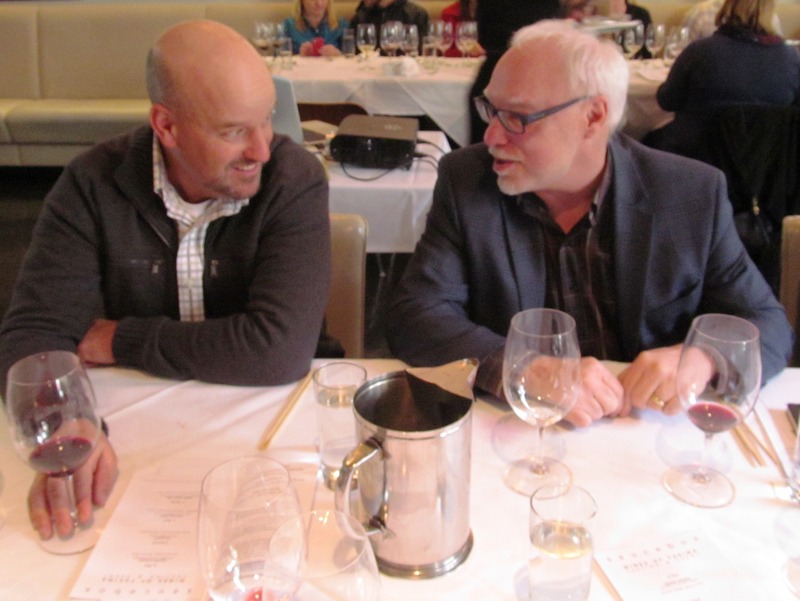 In attendance at this event were John Sauer and his wife, Kelly, of Red Willow Vineyard, Kelly Hightower, co-winemaker at Hightower Cellars, Kerry Shiels, winemaker at Côte Bonneville and Wade Wolfe, winemaker at Thurston Wolfe, among others. They took turns educating us on the rich history that makes up the Yakima Valley AVA and outstanding geology credited for the superior grapes produced within this diverse agricultural region. Shiels, the first person I ‘bumped’ into at Saucebox, has a particularly contagious affection for Yakima Valley and her claim is quickly backed up by her global winemaking experience in Australia, Argentina, Napa and extensive vineyard travels throughout Europe. 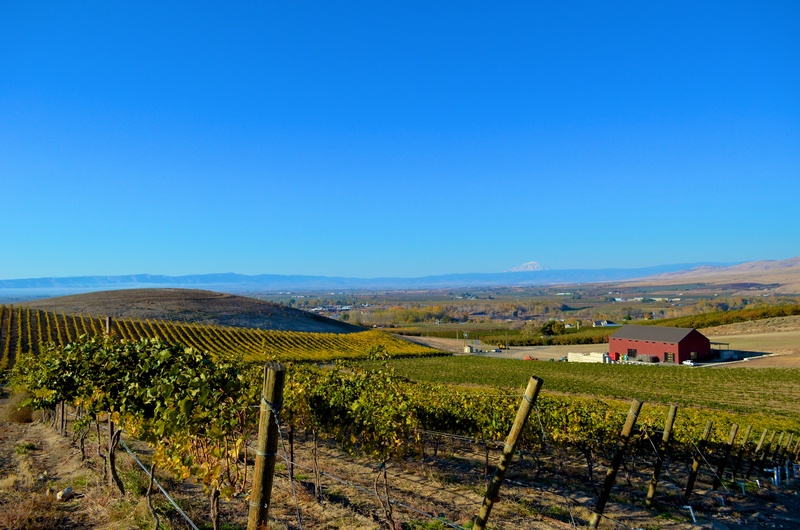 I determined within minutes that I knew far too little about this AVA with “more than 17,000 acres of vineyards,” over 150 wineries, and “more than half of the wine production in Washington State,” according to Wine Yakima Valley. What I did happen to know—and was pleased to partake in once again—was that the 2012 Owen Roe Old Vine Cabernet Sauvignon from Red Willow Vineyard is unforgettable. I was introduced to this beautiful vintage at Savor Cannon Beach in March and, given the fact that this is a four-day, seven-event production, to remember a wine with such heady anticipation is a feat in itself. 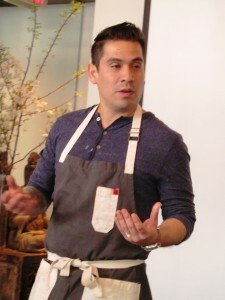 Peruvian-born and Pan-Asian trained chef at Saucebox, Alex Diestra, explaining his culinary creations to an appreciative audience. Courtesy of Wine Yakima Valley. Fancy that it’d be paired with the Muscovy Duck and that I’d be sitting directly across from and next to the son and daughter-in-law of Mike Sauer, who planted the 1973 vines that Owen Roe still harvests from to make this elegant wine whose smoky, cherry notes paired harmoniously with Diestra’s meaty, not oily and gamey, duck dish. Wade Wolfe, winemaker at Thurston Wolfe (in red), with Todd Newhouse of Upland Winery and John Martinez of Maison Bleue Winery. Courtesy of Wine Yakima Valley. The drama of the tasting had to be the 2014 Thurston Wolfe Albariῆo which had a fragrant nose of stone fruit but the sweetness of the bouquet suggested a riesling not Spain’s most popular white wine. There was a gentleman engaged in a spirited discussion with the winemaker to the point that they conducted a side-by-side comparison of the 2014 Kiona Riesling with his albariῆo. I was with him on the nose but the palate certainly belied the characteristic traits of an albariῆo and, in the end, one had to wonder if it was just a well-played tactic to taste more of each of these crisp, aromatic whites. Touché. Regardless, Wolfe certainly has an affinity for the Iberian grapes as further evidenced by his 2011 Thurston Wolfe Touriga Nacional Port that we enjoyed. Aromas of baking spices and cola mingled with the high tannin and velvety texture of this port that would pair perfectly with a traditional cheese platter to finish off a satisfying meal. 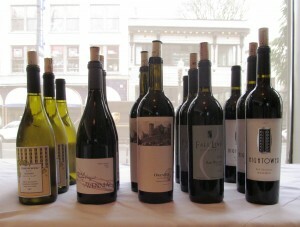 A few of the exceptional Yakima Valley wines tasted at the recent Wine Yakima Valley grower tasting held at Saucebox. Courtesy of Wine Yakima Valley. From Treveri Cellars to Chinook, Two Vintners to Avennia to Fall Line Winery, I was schooled by the gracious winemakers and vineyard owners and convinced a trip to Yakima is in order so I will be making my way in May. For those who’d like to plan their own trek, consider Spring Barrel Tasting weekend April 24-26. 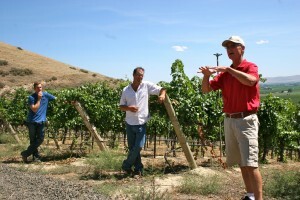 Go to www.wineyakimavalley.org for more information.